FREE SHIPPING UNTIL JANUARY 31ST! Economy: 6-10 Business Days: Free! 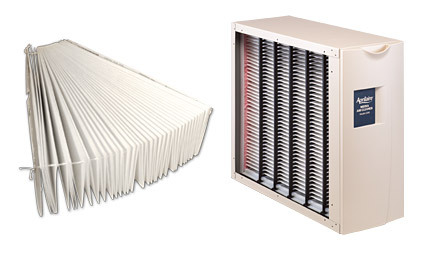 These expandable "accordian" style, replacement filters are made to fit the Aprilaire/Space-Gard Model 2400 Air Cleaner. MERV 11 rated. They are non-OEM filters. Replaces Honeywell # CF2400A1001, FC2400A1005. Fits Generalaire media air cleaner model AC24, and replaces part # 13156. 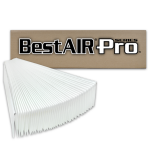 These expandable "accordian" style, replacement filters are made to fit the Aprilaire/Space-Gard Model 2400 Air Cleaner. MERV 11 rated. They are non-OEM filters.